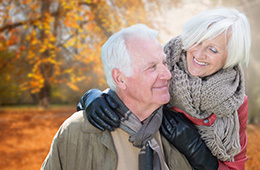 We recognize that as a caregiver in the home, there may arise times when family members themselves need to focus on personal affairs thus requiring assistance with the care of their loved one. Our facility provides security and supervision in a caring and compassionate environment, giving the caregiver peace of mind. We offer specialized care to help with maintaining or improving the quality of life for someone whose illness, disease or condition is unlikely to be cured. Each resident will be evaluated so that we can provide the most comfortable and appropriate individualized care plan. A positive and uplifting atmosphere is vital to the success of healing, recovery and rehabilitation. San Diego Post-Acute employs outgoing and friendly professionals to create social programs and activities to fit the residents’ needs. We provide a monthly activity calendar to each resident to keep them informed of upcoming events. Friends and family are always welcome to visit and attend our special events. Social services provides essential information, manages requests and concerns, coordinates appointments, maintains contact and open communication between the facility, families and the residents, helps in care planning and discharge planning for each resident. We stand up for residents’ rights and strive to make San Diego Post-Acute their home.